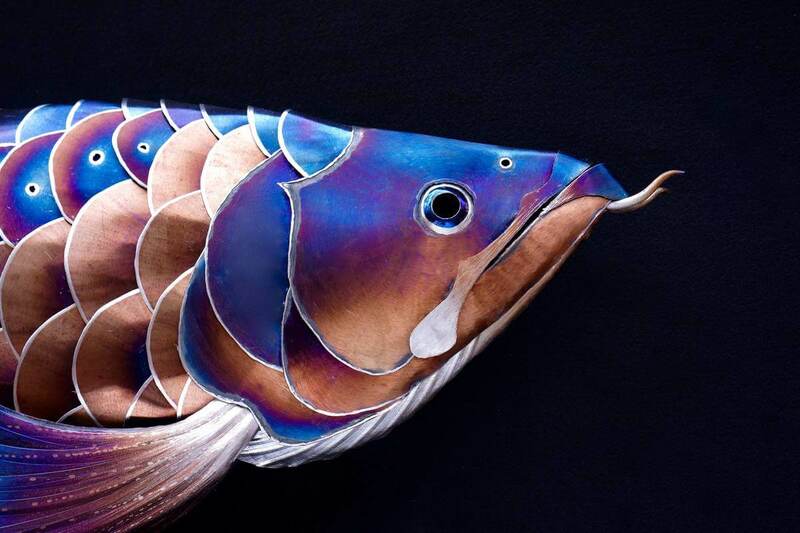 This handmade arowana fish sculpture is metal wall art made entirely of stainless steel. 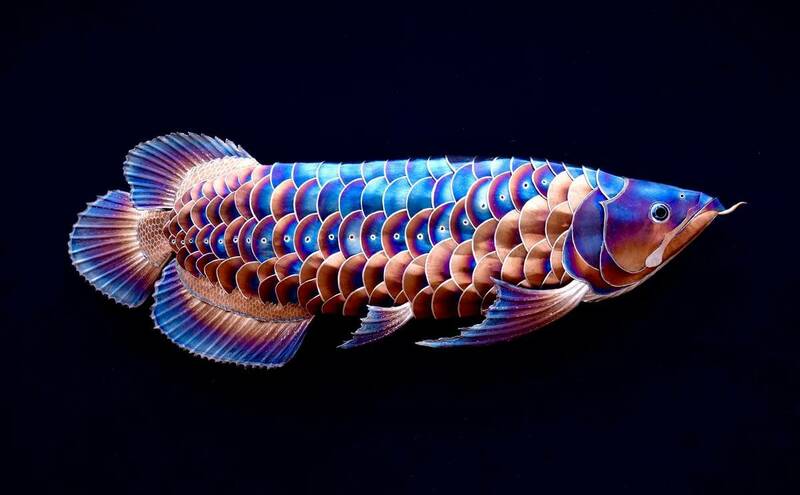 When I was a little boy my aunt had an arowana and I was fascinated by it. I mean it had a trap door mouth, large beautiful scales, ribbed fins and a soul patch to boot! 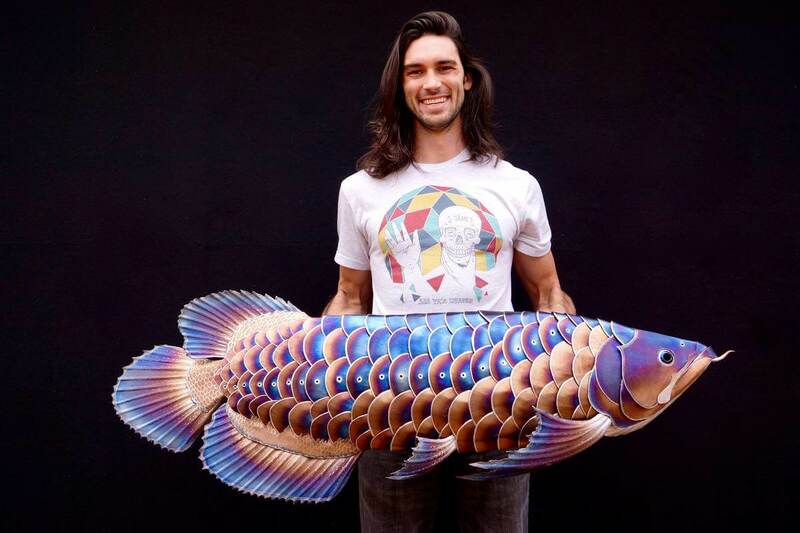 I love repetition and have wanted to make a fish where i created every scale individually. 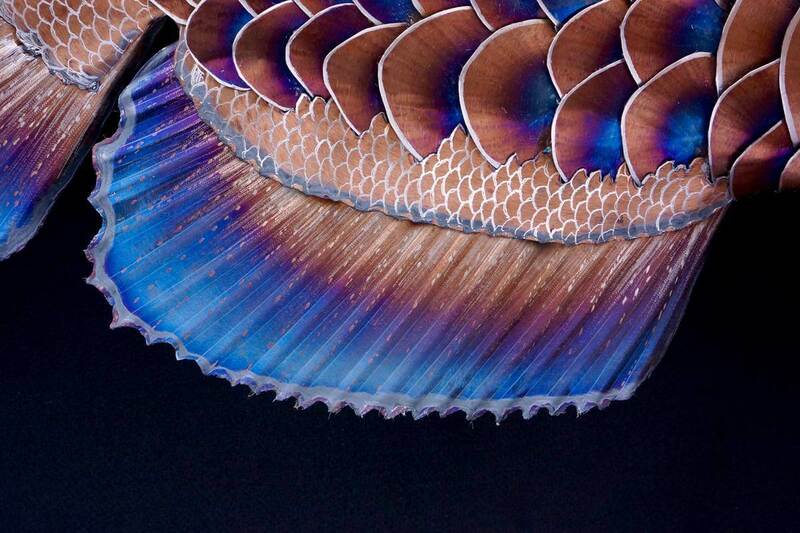 This was a perfect candidate as the scales are large and beautifully patterned with the lateral line of scales adding a gorgeous swooping detail. 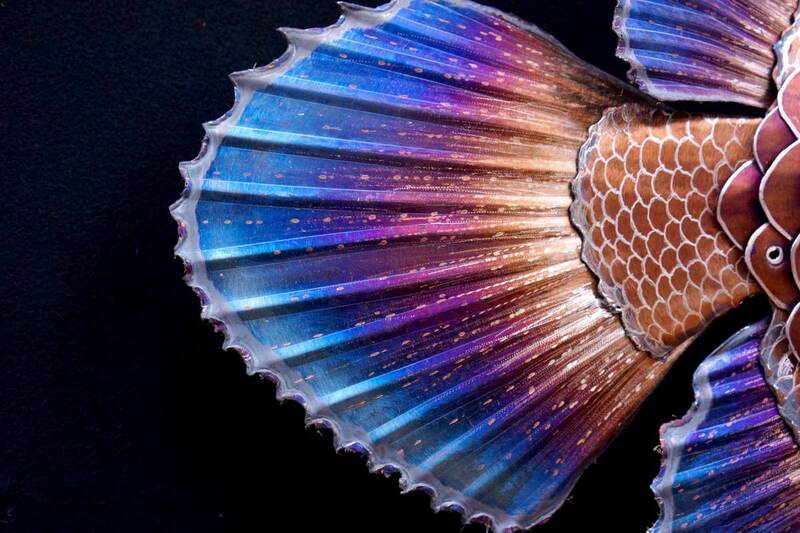 This fish is made up of 125 individual pieces including 105 individual scales. I also tried a new eye design for this fish with added depth so one can actually look into the eye. 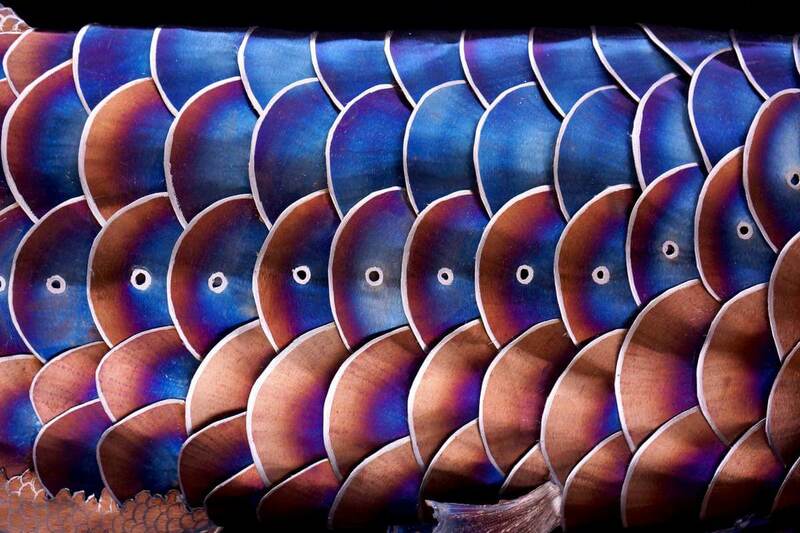 Overall I really love this fish! This sculpture is completely safe to be kept outdoors!